Kingwells TRIGGER-TYPE LASER GUN SIGHT enables shooters from amateurs to professionals to aim their targets accurately. 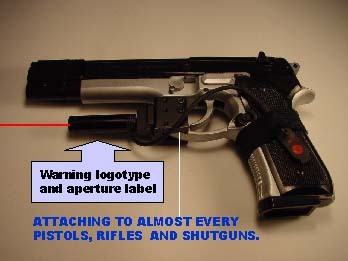 The trigger-type momentary switch allows instant on-off of the laser. 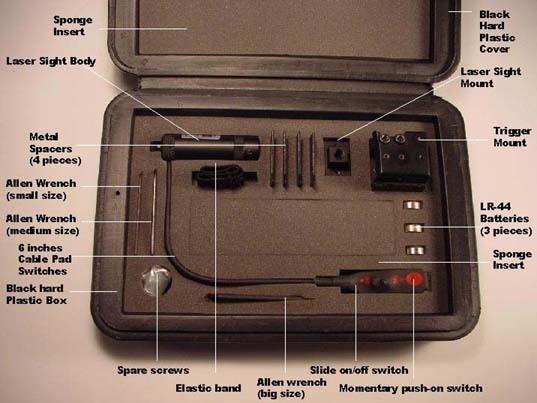 With the precision tools provided in the kit, the laser easily and seamlessly attaches to almost every type of pistols, rifles, and shot guns. Power Source: 3 pieces LR-44 button cells or equivalent. 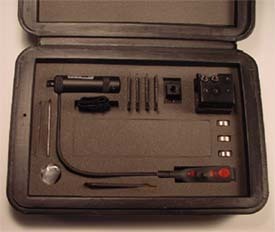 A Class IIIa laser products.